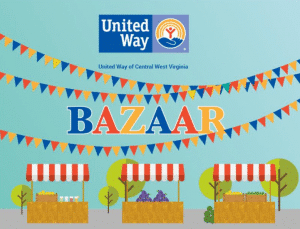 The United Way is hosting at Bazaar on Saturday, May 5th from 8:00 a.m. – 2:00 p.m. at One United Way Square in Charleston, WV. Yard Sale outside. And plenty of vendors inside.